The 2018 season delivered our busiest season since the early '80s and fishing didn't disappoint us. The season began with low water but quickly caught up with continuous rain in late June which carried right through July. 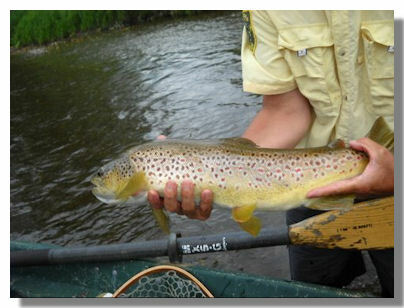 Despite this fluctuation in weather/water levels fishing remained excellent throughout the year. With an abundance of food, both surface and sub-surface, throughout the majority of 2018 fish remained fat and healthy. Again we caught at least four different age classes of both brown and rainbow trout which is fantastic to see. This can only bode well for the 2019 season. Work on both the First Lake dam and Murphy Dam was not completed due to high water and a cold fall. We can only hope that any remaining work on the butterfly valves on the intake at Murphy Dam is minimal and doesn't affect the Connecticut River's water levels. I have faith in our fishery biologists to maintain sufficient water levels in the early summer or fall to protect the fishery. The new regulations that were put into effect below Murphy dam two winters ago promise to find more big fish in the river downstream from that point than in the past. 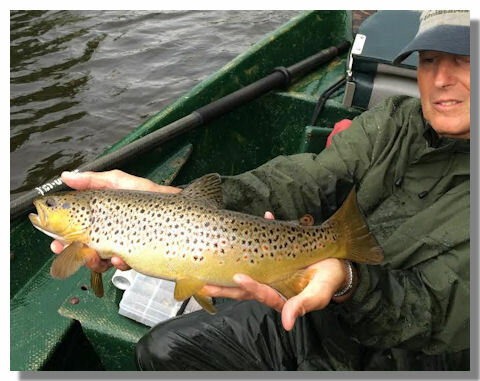 Both browns and rainbows, measured in pounds not inches, have traditionally been harvested on a regular basis by spin fishermen during the winter months when their metabolism is low and are more easily landed. 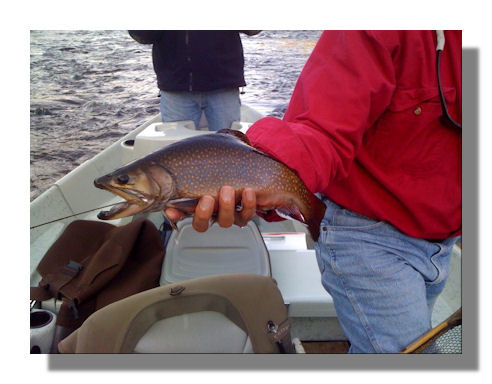 These fish are now protected by special catch and release regs until April 1st when we revert back to the 5 fish limit. Many of us (guides & fisherman alike) have longed for similar regulations for many years with no success convincing the Fish & Game commisioners until campowners in Pittsburgb and the fisheries biologist and showed strong support for these changes. Kudos to all for helping these changes come to fruition. What a fishery it would be if these regs. were extended through out the season ! Nonetheless it is a step in the right direction and we at Osprey Fishing Adventures applaud the move. 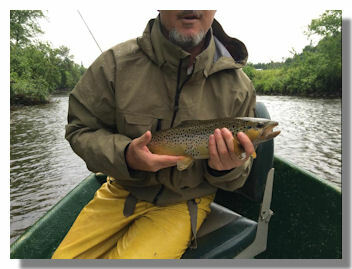 All fish caught on the Connecticut thus far and throughout the 2017 were, and are, strong and in great shape which bodes well for a good growth and survival rate in the 2018 season. We should start to reap some rewards from the special regs and fishery management on the upper Connecticut put in place during the winters of 2015-2016. Brood stock previously taken from the river during winter months when they are more susceptible to being caught are now protected with single barbless hook/ catch and release only from October 15th to the fourth Saturday in April. Good news for the entire upper stretch with more fish measured in pounds instead of inches. 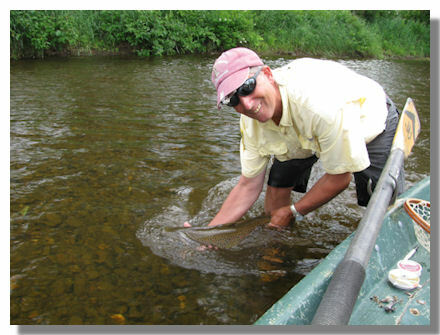 Kudos to Dianne Timmins Region I fisheries biologist. 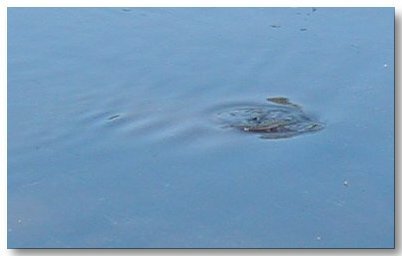 One thing that I would like to relay to readers of this page is a tool that I have found to be fantastic in releasing fish unharmed to swim and propagate. I have been using the 'Ketchum release' tool, marketed by several dealers inclunding Orvis and Cabelas, for the past several years and am constantly amazed at how simple something can be and yet work so well in the release of fish while at the same time minimizing stress associated with handling the fish. It comes in two sizes with the larger size going over beads and streamers with no ill effects on the flys. 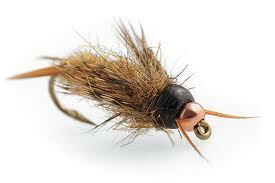 I have even used the smaller one with small parachute drys resulting in no damage to either the hackles or post. As the old commercial use to say, "try it.. you'll like it". Weather conditions and water levels affected the hatches of 2018. 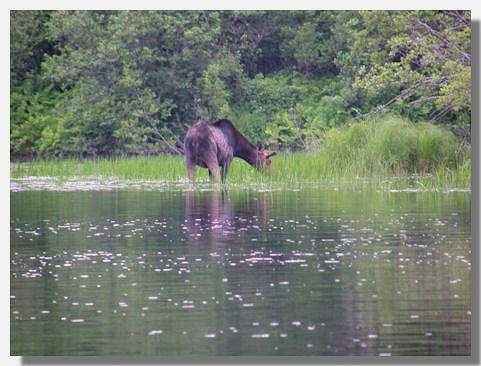 New Hampshire's Great North Woods and the rest of the Northeast experienced cooler than normal summer weather which in turn affected the hatches. Some hatches were lighter than normal such as the E. guttulata (green drakes). On the other hand species such as Paraleptophlebia hatches were numerous and continued through much of the summer. Mother nature will always provide. The bigger fish stayed low to the bottom from July through out the summer. Terrestial emergences such as the flying black ant hatch took place sporadically being late about a week due to the contined rainfall. This winter's snow pack is great and doesn't seem to want to stop which bodes well for summer water levels and great fishing. At this point the river out back of our home has not completely frozen over which is the first time I can rememberm since returnig from Wyoming in the fall of '82. The effects of ice scour on both trout and invertebrate eggs/young of year will be minimal accordingly. Fluctuating high winter water levels have had their effect on riparian vegetation as observed with early winter's channel migration. As everything in life is in a constant state of flux so goes the homes of trout and salmon. Rest assured that we will quickly learn these new lies. 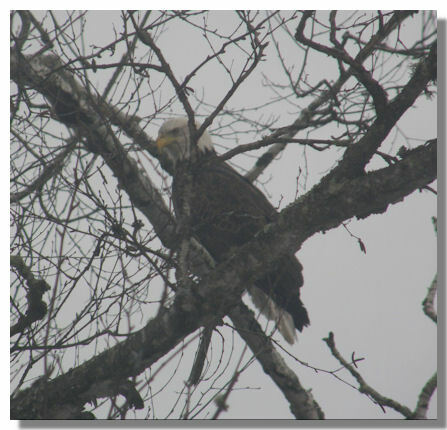 Still yet to find the eagle nest Chris Martin, Audobon biologist, is sure to be in our area. In a recent float watched an immature female and a mature male fishing the same area giving conniptions no doubt to the Ospreys which nest in an adjacent area. Thus far neither seems to be negatively affecting the other. When the water drops and the young ospreys fledge that may change. The Osprey population has rebounded incredibly with numerous nests here in the Great North Woods bordering both rivers. The Eagles likewise have had an increbible recovery with nesting pairs throughout the upper watershed. Occasionally I wonder what kind of affect this has had on the fishery and more specifically fish density in any given section but then I remind myself that there is nothing wrong with this picture because as a famous naturalist once said only the fittest will survive to past their traits on to the next generation leading to a healthier population as a whole.